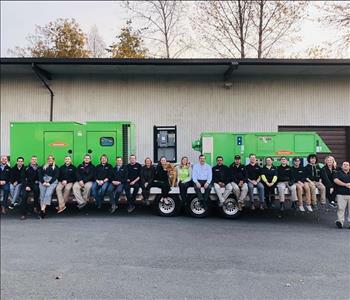 Our Warehouse Manager Max is responsible for many aspects of organization and cleanliness at SERVPRO of Edmonds, Lynnwood & Bellevue West sprawling over 30,000 square feet. Max inventories our consumables and thoroughly cleans equipment after each completed project. All orders are placed and received through Max’s direction for cleaning products, packing supplies and new equipment. He is also in charge of inventory for 175 plus storage pods, fuels our fleet of over 25 vehicles and holds multiple IICRC certifications. Our team prides itself on organization and cleanliness for a productive environment and Max does an exceptional job at helping our operations run efficiently. 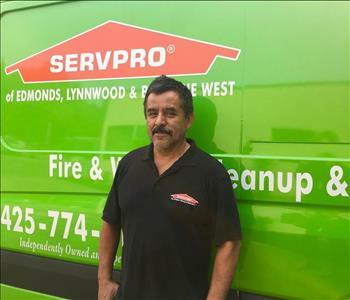 Armando has been with our SERVPRO team for several years, he is a very dedicated and loyal employee. From commercial to residential losses Armando has always been a reliable leader for our team and continues to impress us with his hard work and determination. Meet Our Duct Cleaning Crew! If your HVAC has been operating for some time without attention, it could be circulating odors, dust and other contaminates. For more information on duct cleaning contact SERVPRO of Lynnwood at 425-774-1148.